James L. Mohler is professor of Computer Graphics Technology (CGT). He has served in the following administrative roles at Purdue over the last 10 years: Senior Research Scientist of Multimedia and Web Development in Information Technology at Purdue (2002-2003); Director of the ITaP Informatics Group (2003-2005); Assistant Department Head, CGT (2008-2009); Associate Department Head, CGT (2009-2011); Interim Associate Dean for Graduate Programs (2011), Associate Dean of Academic Affairs & Diversity (2011-2015); Interim Director of the Division of Interdisciplinary Technology Studies (2015, Jan-Oct). He is currently serving as Associate Dean of the Graduate School. 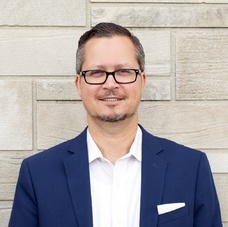 Dr. Mohler is a Faculty Scholar, a member of the Purdue University Teaching Academy and a past faculty fellow for the Discovery Learning Center. Dr. Mohler is a member of Purdue’s ADVANCE team and has served as a Diversity Catalyst. Dr. Mohler is also a Guest Professor at the Harbin Institute of Technology in the People’s Republic of China. Dr. Mohler has authored, co-authored, or contributed to over a 21 texts related to computer graphics and media development and over 71 articles for refereed, reviewed, or trade publications. He has been the recipient of 1.5 million dollars in grants.